The Center for 21st Century Music is excited to announce the details of the first ever June in Buffalo Performance Institute! 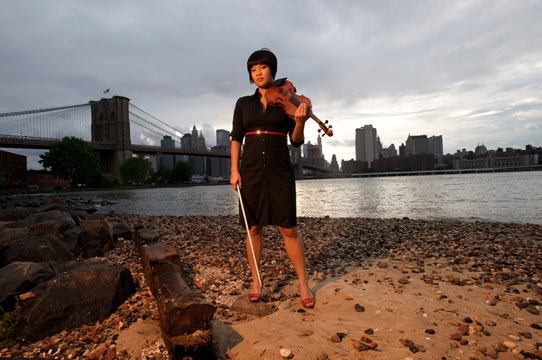 For the first year ever, contemporary music performers around the world are invited to participate in masterclasses, seminars, workshops, and performances at June in Buffalo, and work with members of the June in Buffalo Performance Faculty, including the JACK Quartet, Talujon Percussion Ensemble, Tom Kolor, Jonathan Golove, and New York Philharmonic pianist-in-residence and Performance Institute director Eric Huebner. Complete details below. - Application Fee: Check in the amount of $25 made out to "June in Buffalo"
John Cage’s Europera 5 at the Burchfield Penney Art Center! We in Buffalo have been celebrating John Cage’s 100th birthday this year with many diverse performances of his works all around the city. In this vein, we’re happy to announce a special performance of his final opera, Europera 5, at the Burchfield Penney Art Center on Friday, October 12, from 8 – 9:30 p.m., in the Peter and Elizabeth C. Tower Auditorium. John Cage was a good friend to Buffalo and served as a faculty composer at June in Buffalo during the 1970s -- friend of Cage and Buffalo native Jan Williams, who is also an Emeritus Professor at UB, veteran Creative Associate of the Center for the Creative and Performing Arts of Buffalo, and percussionist extraordinaire, will be performing on the victrola throughout Europera 5, alongside soprano Martha Herr, tenor Robert Zimmerman, pianist Amy Williams, Tom Kostusiak on Lighting, and Don Metz on Truckera tape. 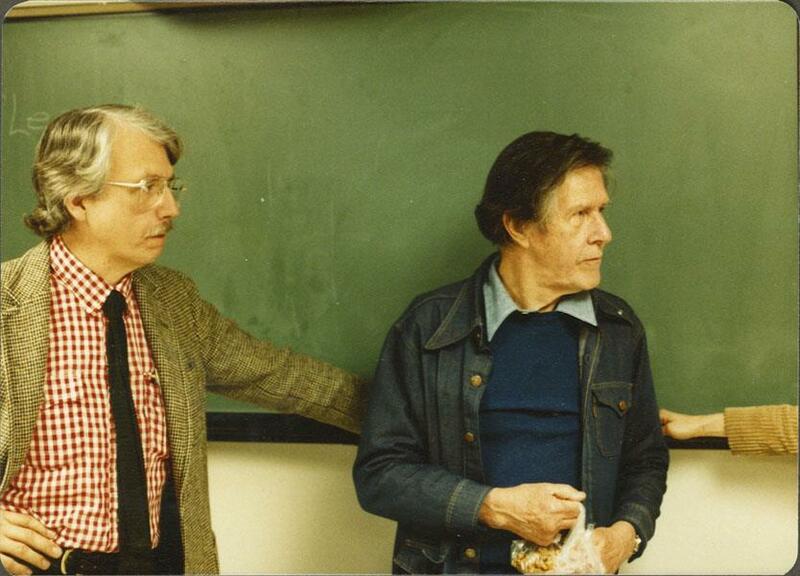 Europera 5 (1991) was John Cage's last and most portable opera. It is a collage scored for two singers, each singing five arias of their own choosing from the standard opera repertoire. 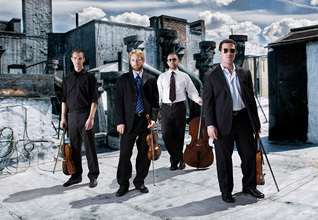 A pianist "accompanies" them by playing six different opera transcriptions. They are joined by a single 78-rpm victrola player, playing six historical opera recordings and a performer playing a pre-recorded tape, plus the use of a radio and a silent television. “In 1987, Heinz-Klaus Metzger and Reiner Riehm invited Cage to write an opera that was intended to be an ‘irreversible negation of the opera as such’. Cage’s response, ‘For 200 years the Europeans have sent us their operas. Now I am returning them all to them.’ In 1987 Europera 1 & Europa 2 premiered in the Frankfurt Opera. Cage chose for his musical materials in his Europeras, fragments of eighteenth and nineteenth century operas. There is no music by the composer. Instead, there is found music that is organized by the composer using chance operations, and, in the case of Europera 5, he instructs performers to select parts to perform from their repertoire. “Cage completed Europera 5 in March, 1991, in time for its premiere in Buffalo at the North American New Musical Festival on April 12, 1991. The work was a co-commissioned with the DeIjsbreker International Music Center in Amsterdam and, appropriately, the first European performances were in Holland that May with the same personnel. There were subsequent performances in Brussels and Ghent in Belgium and Bergen, Norway, with further performances in Ferrara (Italy), Odense (Denmark) and Geneva. “In the summer of 1992, there were five performances of Europera 5 in the garden of the Museum of Modern Art. 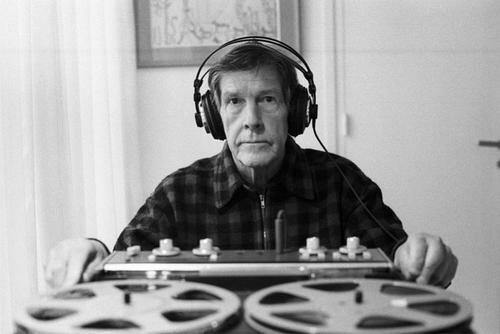 Between the second and third performances John Cage died. Europera 5 was the last public performance of his own work that he heard. In a sense, he became part of this transcendent theatre piece which combines elements of two centuries, never-blending, to create an emulsion of time, space and music. 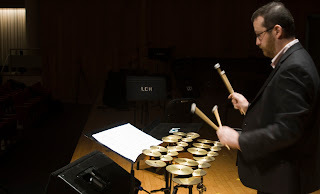 We at the Center are pleased to announce that UB faculty percussionist Tom Kolor will be treating us to a solo recital of contemporary pieces by American composers this week. 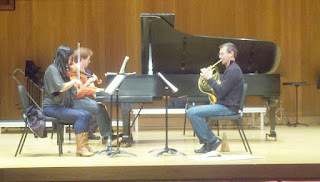 His recital, titled “Made in the U.S.A.”, will be on Tuesday, October 9, at 7:30 p.m., in Lippes Concert Hall. Tom Kolor is a specialist in 20th and 21st century percussion music, is one of New York City’s most in demand chamber musicians, and is the Principal Percussionist with UB’s Slee Sinfonietta. 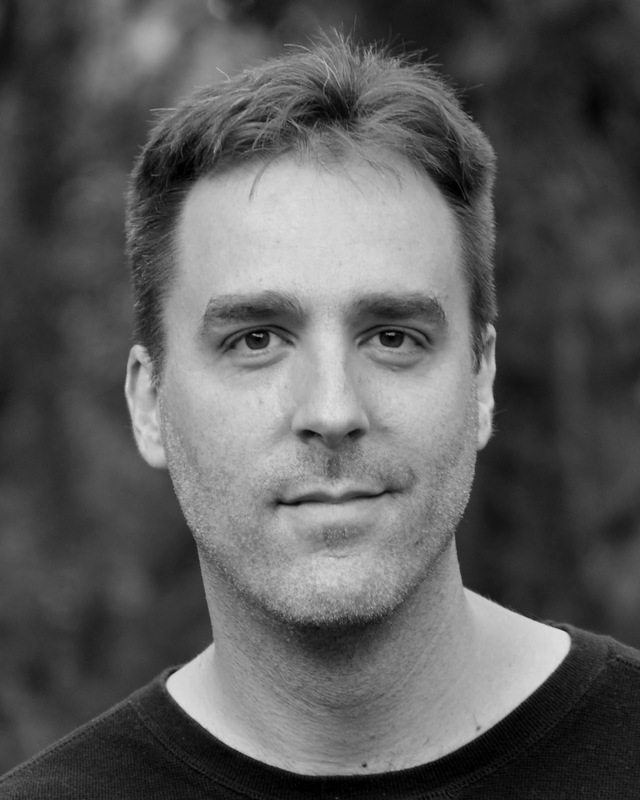 As a soloist, Tom Kolor has given dozens of premieres by American composers such as Milton Babbitt, John Zorn, Wayne Peterson, Tania Leon, and Jerome Kitzke. He has recorded for Bridge, New World, Albany, Capstone, Innova, Wergo, Naxos, CRI, Koch, Tzadik, North/South Consonance, and Deutsche Grammophon labels. Tom Kolor is a member of the NYC-based percussion septet, Talujon Ensemble, whose concerts have been hailed by the New York Times as "frenzied explosions of percussion madness”. He also performs throughout the U.S. and Europe as a member of Manhattan Sinfonietta, Ensemble 21, Sospeso, American Modern Ensemble and Newband. In addition, he is a frequent guest of such ensembles as the Chamber Music Society of Lincoln Center, New York New Music Ensemble, Speculum Musicae, Continuum, Da Capo Chamber Players, Group for Contemporary Music, and Orpheus Chamber Orchestra. Tom was a featured performer last summer at the Sound Res Festival in Leche, Italy, where he gave the European premiere of Marimba Variations by Charles Wuorinen, a sophisticated 15 minute-long Marimba solo he commissioned from the composer. Tom will perform Wuorinen’s Marimba Variations during the first half of his faculty recital. Tickets are $10 for the general public, $5 for UB faculty/staff/alumni, seniors, and non-UB students. 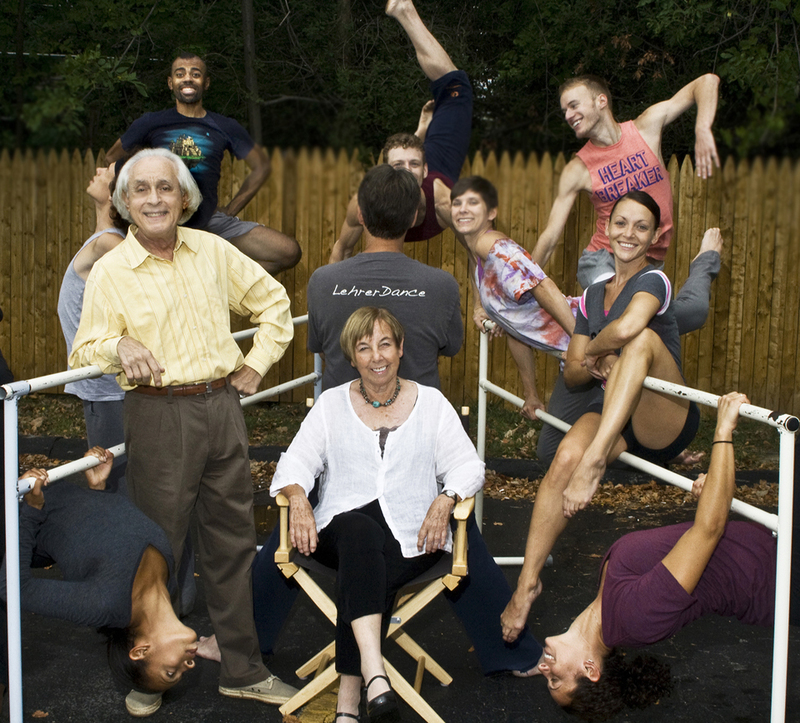 All UB students with a valid ID receive complimentary tickets to all faculty recitals. We’re excited to welcome composer James Romig to the Center for 21st Century Music at the University at Buffalo next week. Next Wednesday, October 10, he will offer a masterclass to UB graduate composers as well as give a presentation on his own music. 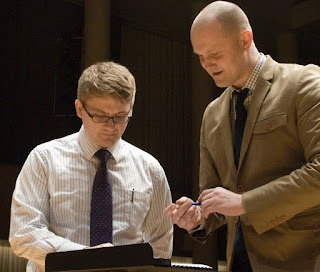 Romig, who has been on faculty at Western Illinois University in Macomb, Illinois, since 2002, is currently overseeing a dizzying amount of performances of his pieces across the U.S., South America, and Europe. 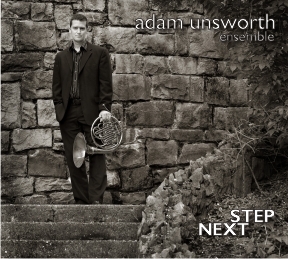 He recently had his duet for flute and piano, Leaves From Modern Trees, performed at the Iowa Composers Forum Festival, and his percussion trio, The Frame Problem, is scheduled for performances in Medellin, Columbia, Baylor University, University of Hartford, and Salle Stengel de Lorentzen, France, throughout the rest of October. The Frame Problem will then continue onto another 29 performances across the globe throughout the remainder of 2012. 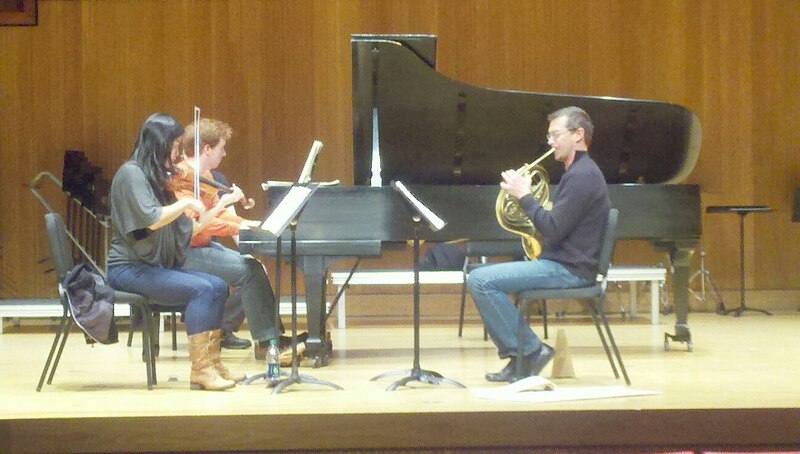 More information on upcoming performances of Romig’s works can be found on his website. According to his biography, Romig, "composes music that endeavors to reflect the intricate complexity of nature, where fundamental structures exert influence on both small-scale iteration and large-scale design, obscuring the boundaries between form and content. His work shows the influence of academic study with Charles Wuorinen and Milton Babbitt, interaction with the natural world through hiking and photography, and an interest in chaos theory, fractal geometry, and small-world networks."